In essence these passages from both the Doctrine and Covenants and the Inspired Version state that God has created many worlds in addition to Earth. At the time this was written by Joseph in the early 1830s, there was no evidence or even the slightest indication that inhabitable worlds existed in the universe other than Earth. Yet Joseph claimed they were true and given to him by God. As NASA prepares to hunt for Earth-like planets in our corner of the Milky Way galaxy, there's new buzz that "Star Trek's" vision of a universe full of life may not be that far-fetched. There may be 100 billion Earth-like planets in the Milky Way, or one for every sun-type star in the galaxy, said Alan Boss, an astronomer with the Carnegie Institution and author of the new book "The Crowded Universe: The Search for Living Planets." The test of a true prophet is that God reveals His truths through him before the rest of the world comes to that understanding. As Amos 3:7 states, "Surely the Lord God will do nothing, until he revealeth the secret unto his servants the prophets." 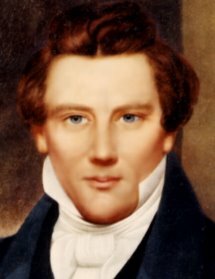 The truth of other inhabitable worlds was revealed to Joseph Smith, Jr. 170 years before the rest of the world came to that knowledge, thus proving Joseph was a prophet of God. I'm still part of the Utah LDS church but have recently come to believe that Brother Joseph did not practice plural marriage. This post in particular intrigues me since this was also something my D&C professor at BYU loved to talk about. I believe it was back in the late 1950s when some scientists published a list of unanswered questions and one of them was along the lines of "Does extraterrestrial life exist?" To which my professor answered, "Abraham, Moses, and Joseph Smith have already confirmed that." Is there life on other planets? Yes. Are they human like you and me? Yes. Have they been taught of the gospel of Jesus Christ? Yes. Have they made advancements that make it possible for them to visit our planet? Maybe. The same professor speculated that they could fly by, but if they actually landed then they wouldn't be allowed to return home because of the filth and corruption currently on our earth. I am member of The Church of Jesus Christ of Latter Day Saints. I wanted to search for proofs that Joseph Smith Jr. was a true prophet and I ran into this article. I would like to express my congratulations for your work. Although, time has changed where historians have discover more evidence of other civilizations prior to Adam and their writings. These other civilizations are vaguely mentioned in the Bible as well as in the Book of Mormon and Doctrine of Covenants. What is amazing is that in our civilization there has always been a cult that has kept the true secrets of our origins and destiny. That cult is the Masonic Cult among other names. Somehow, Joseph Smith became a member of this cult and when I tried to defend his divine calling it becomes more and more fruitless. The fact that RLDS has branched out from the LDS church gives more evidence that Religions of the world is not the answer for Man to seek their destinies. Please provide proof of the civilizations that existed prior to Adam. My apologies for not responding sooner. This has been a very busy week for me. Thanks for looking at my site. If you haven’t already done so, feel free to browse around and read what you want. If you are looking for verification from people that Joseph was a true prophet, you are only going to find both pros and cons. Remember, the angel told him that his name “should be had for good and evil, among all nations, kindreds, and tongues; or that it should be both good and evil spoken of among all people.” (See my blog post on this subject at http://www.defendingjoseph.com/2008/09/josephs-name-has-been-associated-with.html.) The fact that this has come to pass is a testament of itself that he was a true prophet. When people state that Joseph wasn’t a true prophet, I like to ask them if they think they could have written the Book of Mormon under the same circumstances which Joseph did. (See http://www.konnections.com/kcundick/chall.html.) That usually stops their argument. However, the true testimony that Joseph was a prophet of God comes from God. He is the only one that can authenticate this to you and He does so by His Holy Spirit. One of the functions of the Holy Spirit is to bear record of the truth of God and His work. It will never bear record of the truth of something that is false including the work of a false prophet. So, if you don’t know that Joseph was a prophet of God, then diligently ask Him with an honest heart and real intent to get an answer. And in His own way and time, He will answer your prayer in a manner that your soul will be satisfied. Then it won’t matter what others think because you will have heard the truth from God. with all due resepct joseph was a liar and con artist and a very smart guy, too bad he used his smarts for money and women like everyone else in power. he wrote the book of mormon you can tell, nothing in the book is right geographicly historically argriculturally you can tell he was uneducated when he wrote the book open your eyes and wake up!!!!! Thank you so much for coming to my site and stating your opinion. While I do not agree with your statement, I do appreciate your honesty and willingness to tell me what you think. Joseph never benefited monetarily from his position within the church. He and his family never had a lot of financial or material comfort. The nicest place they ever lived was the Mansion House in Nauvoo and they lived in only a few rooms and rented out the rest to travelers to support themselves. Eventually, someone had to help Joseph manage the Red Brick Store in Nauvoo because he continued to give away merchandise to those in need. After Joseph died, his family struggle financially because they inherited very little money from him. As far as women, some authors say Joseph had 30 plus wives. I do not believe he had any other wife than Emma. They quote “evidence” much of which was later determined to be unreliable in the 1890s by a circuit court judge in the Temple Lot Suit. Today, DNA evidence is proving him innocent of polygamy. I suggest you read Joseph Smith Fought Polygamy at http://restorationbookstore.org/jsfp-index.htm for more information on this subject. It is a popular belief among those who do not believe in the Book of Mormon that Joseph wrote the book himself. Part of the reason for this is that if a person acknowledges that the book came forth as Joseph said, he would also have to acknowledge that angels appear to humankind, that God speaks today, and that the book is true because it came forth by the power of God. This is hard for many people to believe so they say he wrote it. Yet, those that read the book know he could not have done so. The story line is excessively complicated for a young man, with not even a fourth grade education, to have written. In addition, archeology in recent years has flourished in the area proving the Book of Mormon to be true. But, the greatest test of its truth is to read it and ask God if it is true. The promise in the Book of Mormon is that He will testify of its truth to those who do so. On June 16, 1987, while working as a Security Officer for the Church of Jesus Christ of Latter-day Saints, Christopher Marc Nemelka received from a resurrected Joseph Smith Jr., the calling and commission to translate the sealed portion of the gold plates that Joseph left sealed after he translated the ancient plates, which he had received from the angel Moroni in 1827. If you believe in modern day revelation then do you believe that Christopher Marc Nemelka translated the sealed portion of the plates? If not, why? Thanks for your comment. Coming from an RLDS background, I am unfamiliar with this event. I'll do a little research and get back to you. Thank you for your post. I appreciate your coming to my site. Obviously, by the things which I have written, I do not agree with your comments, but I am very thankful we live in a great nation that still allows expression of diverse opinions. As I mentioned in my bio, I am not Mormon (LDS). The roots of my belief are in the original teachings of the Reorganized Church of Jesus Christ of Latter Day Saints (RLDS) which based its teachings only upon the original teachings of Joseph Smith, Jr. There are doctrines that were taught and are currently being taught by the LDS Church to which I disagree. These were added to the LDS Church after Joseph’s death and were not taught by him prior to his death. Some of these are discussed on the mormonismdisproved.org site, but since I am not LDS, I do not feel qualified to discuss them. I do take exception to that site’s discussion of Joseph’s translation of the Book of Mormon and his work on the Inspired Version of the Bible. I found that the author’s “proof” of the falsity of these two works is very shallow. Please read my two blog posts: “Could You Write the Book of Mormon?” and “The Inspired Version.” The site author indicates that the number of “And it came to pass” phrases in the Book of Mormon proves it is false. His conclusion is speculation as it is not founded on any sort evidence other than his own thinking, which to me appears to be faulty. Archaeologists are now able to decode Mayan hieroglyphics—one of which is translated “And it came to pass.” It is used frequently in their writings and mostly used at the beginning of what we know as sentences and paragraphs. This phrase is also a Hebraism and is found frequently in the Old Testament. These two facts support Joseph’s claim about the origin of the Book of Mormon. You are certainly free to pronounce that Joseph “was a fool and has fooled thousands of people,” but before you do, you may want to heed the Lord’s counsel in Matthew 5: 22 (KJV). You need not believe that Joseph Smith is a true prophet. Just look at the evidence. Tell me how you explain the chiams in the Bible and find the same chiams in the Book of Mormon. No young boy especially a farm boy could have done this. The argument ends here. Mistakes by man is always made. God is in charge. I am not LDS but was brought up RLDS and firmly believe God has been involved in the Restoration movement from the beginning. I accept that Joseph was a prophet of God for the most part, but am uncertain if he remained so until his death. I believe that the Book of Mormon, is the word of God, with the same conviction that I have of the Bible. I am hopeful that your idea that Joseph was not a liar concerning polygamy is true, but as I feel that I've been deceived about it for much of my life, I'm trying not to rush to judgment. I'm grateful that there are people like you who have the knowledge and temperament to try to unravel this mess. I must disagree with you on the subject of archaeology. I don't support the Meso-American model, which claims that there were two Cumorahs, nor do I think that placing trust in the dubious interpretations coming from these geographical areas will ultimately prove fruitful. I worry, rather, that undue emphasis will lead to yet another crisis of faith as the preponderance of evidence weighs against the Meso-American thesis. Personally, I subscribe to the Heartland model as a much better fit for archaeology, but I recognize that it is nothing to base one's faith upon. I enjoy listening to their lectures and presentations, and as noted, I find them personally convincing, but I still think it a mistake to bring them up as "evidence" that the Book of Mormon is true. I think the only evidence of it's truth is whether it brings us closer to Christ, and to me that is an unequivocal yes. I must confess to being confused by several things about Joseph Smith's later life. I don't understand the connection to Masonry. Having been through the LDS temple, I've heard that the Masonic rituals are nearly the same, so it is pretty clear that BY adapted them from Masonry. Supposedly Joseph's last words were an appeal to Mason's to come to his aid, so it seems that he had a strong belief in Masonry at his death, but I don't know whether Masonry has any connection to the Gospel. Do you know whether BY modified the plan of the temple after Joseph's death to accommodate the Masonic rituals? Also, the whole idea of the Council of 50 is new to me, so I must learn more before I can accept them. It's not that I am certain that Joseph violated the Lord's trust in the end, just that I am uncertain about the true nature of what was being taught in the Nauvoo period as I feel that my LDS upbringing has been to gloss over the truth of what was happening there. Having read the issue of the Expositor, the LDS position makes no sense. If it was full of scurrilous lies and deserving of being destroyed, then polygamy couldn't have been taught in Nauvoo. If everything it alleged were actually true (which must really be the LDS position), then there was no real basis upon which it should have been shut down, and the position of the Church regarding it's destruction is untenable. Joseph Smith had 33 wives, it is a proven fact. One of them was a 14 year old girl( also proven) he never supported any of his wives financially except perhaps Emma. He was also arrested for defrauding farmers with the very same "seer" stone he supposedly translated the gold plates with. Court documents were discovered to substantiate this. This took place prior to the creation of LDS. Furthermore, Joseph Smith claims he had his vision at age 14. Yet there is no record of him ever having mentioned anything about this to anyone until years later, when it came time to translate the plates which no one ever saw. The LDS church should've excommunicated him long ago and withdrew everything associated with what he claimed to receive from God. Next they could've maintained their belief in the "restored" church by various ways less insulting to our lord Jesus Christ. Thank you for coming to my site and giving comments. First let me say that I am not LDS. As my profile indicates, I am RLDS and am presently associated with the Restoration Branches Movement of that church. You mention several points which I will try to address. First, Joseph never claimed that his translation of the Egyptian papyrus was given to him by God. On the other hand, he did claim that the translation of the Book of Mormon and the changes made to the King James Version of the Bible were given to him by God. During Joseph’s life, the LDS Church never voted to accept his translation of the papyrus as the word of God. However, the LDS Church that went west with Brigham Young did later claim that Joseph’s translation of the papyrus was given by God and was His word. The RLDS Church never claimed such and never considered the papyrus translation as scripture. Since Joseph never claimed that this translation was scripture from God, it is extremely unfair to consider him a fraud because his translation was found to be incorrect. At worst, he just couldn’t translate Egyptian properly without the power of God. Second, you state that “it is a proven fact” Joseph had 33 wives. With all due respect, it is not a proven fact. Those who have written books that Joseph was a polygamist cannot even agree on the number of his “alleged” wives. The vast majority of “evidence” they present are third-party statements (which is hearsay in a court of law) and affidavits (statements that may or may not be true) from first-parties that were made by individuals 20 to 50 years after the events. These individuals were heavily involved in polygamy and had motive to misrepresent Joseph to justify their actions. Others made statements in the 1840s (close to the events) before Joseph’s death that indicated he was not a polygamist and then later in the 1860s and 1870s made contradictory statements that he was a polygamist, again to justify their polygamist actions. I would hardly call these statements factual since they would not hold up in a court of law. And that should be the standard we use to prove anything about anyone. While you may hold the opinion that Joseph was a polygamist, it is not a proven fact that he was. I suggest you read Joseph Smith Fought Polygamy at www.restorationbookstore.org/jsfp-index.htm to read all the evidence which supports the position that Joseph was not a polygamist. Third, it is true that Joseph was arrested on many charges in his life. However, either the charges were dropped or he was proven innocent every time. We still live in a country (as did he) where a person is considered innocent until proven guilty. That should still be our standard when assessing the actions of Joseph. Fourth, Joseph used the Urim and Thummim to translate the Book of Mormon. The only two people that God allowed to see this device was Joseph and Oliver Cowdery. All the others who wrote about a “seer” or “peep” stone never saw the translating device so their statements about the nature of the device were pure speculation. However, Joseph and Oliver always testified that Joseph used the Urim and Thummim, which testimony should be correct because they are the only ones who saw it. Fifth, you state that no one ever saw the Book of Mormon plates. Are you forgetting that 3 witnesses—Martin Harris, David Whitmer, and Oliver Cowdery—were shown them by an angel from God and told that the translation was correct? Are you also forgetting that 8 witnesses—Christian Whitmer, Jacob Whitmer, Peter Whitmer, Jr., John Whitmer, Hiram Page, Joseph Smith, Sr., Hyrum Smith, Samuel H. Smith—viewed, handled, and felt the plates themselves. The testimony of both the 3 witnesses and the 8 witnesses can be found at the front of any Book of Mormon. These witnesses never denied their testimonies throughout their lives. I grew up LDS but I am not anymore. I have run across certain things that do match up that he could not have known of. He added the story of Enoch to the Old Testament. There is actually an ancient Book of Enoch. The have found andcient Hebrew coins and writing in North America and the mound builder Native Americans in New York built one mound in the shape of the candelera from Hanuka. The Mormons hold that Jesus Christ visited people throughout the world after his redirection. There are stories of Jesus having visited France, India, Tibet,and other areas of Asia. Also I follow Edgar Cayce and he stated the similar stand point that Jesus was like us and we can become like home. Also that Hebrews were one of many migrations from different cultures to the Americas. He did not follow anything LDS. These were independent. All these different coincidences lead me to believe that there may have been true inspiration. I don't believe that there is only one true way to access God and that the church is very limited in its teaching how to access God and just leaves Christ to come back and teach us later. This is knowledge on Earth now. Sorry resurrection, not redirection. Darn spell check. Thanks for taking the time to discuss this, I feel strongly about it and love learning more on this topic. If possible, as you gain expertise, mayo international school fees structure would you mind updating your blog with extra information? It is extremely helpful for me.